b. November 17, 1942, Flushing, New York. Martin Scorsese has been acknowledged as the greatest American filmmaker of his generation. The evidence of this critical acclaim is abundant: Mean Streets (1973), Taxi Driver (1976) and Raging Bull (1980) are all listed amongst the 360 Great Films as selected by Sight and Sound and the British Film Institute; (1) Raging Bull was selected as the greatest American film of the 1980s by American Film; (2) and Raging Bull finished second in the voting of Top Ten Films of all time (behind Citizen Kane) in an international poll of filmmakers in Sight and Sound in 1992. (3) His lack of recognition from the Academy Awards actually adds to rather than detracts from his reputation; after all, Orson Welles, Alfred Hitchcock and Stanley Kubrick were also all denied Oscars. With this acclaim by both filmmakers and critics alike, Scorsese has been able to accumulate a great deal of cultural prestige and power, despite the limited success and at times outright failure of his films at the box office. Scorsese’s prestige also comes from his championing of film preservation and his efforts to ensure our “film heritage” is not lost. As he ages, Scorsese the cultural arbiter of taste has become as celebrated as Scorsese the filmmaker, as witnessed by his 1995 BFI documentary on the history of American film, A Personal Journey with Martin Scorsese Through American Movies. If Steven Spielberg, with his box office success and Academy Awards, is the popular representative of their generation, Scorsese is clearly the generation’s critical darling. Scorsese began his filmmaking career at New York University, where he received his M.A. 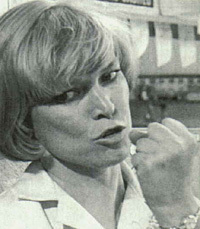 in Film in 1966. His first feature, Who’s That Knocking at My Door? (1969), was a student film that eventually received a limited release and some favorable critical notices, most notably by a young film critic named Roger Ebert. 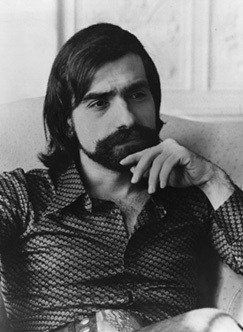 In the next few years, Scorsese would work mostly as a supervising editor on musical films such as Woodstock (Michael Wadleigh, 1970), Medicine Ball Caravan (François Reichenbach, 1971), and Elvis on Tour (Pierre Adidge & Robert Abel, 1972), an influence that can be seen in the importance of the musical genre in the development of his style. After being fired only one week into the shooting of The Honeymoon Killers (Leonard Kastle, 1969), Scorsese finally received a directing job from Roger Corman’s American International Pictures. The film, Boxcar Bertha (1972), has little in common with Scorsese’s later films and is generally considered a minor work. Scorsese’s first major critical success comes with his next film, Mean Streets, and in my opinion, this remains his best film. Unfortunately, most critics have reduced its complexity by imposing an ethnic/religious approach that only focuses on the film’s (and Scorsese’s) Italian Catholicism. And while these elements are certainly present, it diminishes the social dimension of the film to only consider it from a religious and/or ethnic point of view. Mean Streets is a major part of early 1970s American film and in many ways is an American Breathless (Jean-Luc Godard, 1959) in terms of innovative technique and influence on subsequent filmmakers (ranging from Quentin Tarantino to Spike Lee to Wong Kar-wai and countless others). The film relies a great deal on the American genre system, even as it subverts it (as does Godard). The film is an argument against mythical gangster work like The Godfather trilogy (Francis Ford Coppola, 1972-74-90). It is a ‘70s buddy film crossed with a film noir and a musical. The couple of the film is clearly Charlie (Harvey Keitel) and Johnny Boy (Robert De Niro) rather than Charlie and his girlfriend Theresa (Amy Robinson). This can be seen in one particular sequence in which Charlie and Johnny Boy stay out all night and sleep in the same bed together. Charlie gets out of bed and goes to the window, where he sees Theresa dressing. The next scene cuts to Charlie and Theresa making love in a hotel room. The displaced homoeroticism is clear. Johnny Boy plays the part of the femme fatale, the destructive yet also liberating force of the film. The film plays on the genre of the musical, trying to unite the characters through the utopian energy of pop music. The scenes of visual excitement in the film (the bar entrances of Charlie and then Johnny Boy, the pool fight, Charlie’s drunk scene, Johnny Boy’s run through the city) make heavy use of non-diegetic music and are similar to Hollywood musical song and dance numbers. That the utopian unity of the musical ultimately fails to unite the characters in this regard points to the inadequacy of Hollywood myths in regard to the lives of real characters. Scorsese would maintain this split between reality and artifice in all his major films, combining realistic elements such as Method acting, detailed renderings of specific times and places and nonlinear plots, with expressionistic techniques such as rhythmic editing, slow-motion cinematography and non-diegetic sound effects. This split can be seen in critical responses to all his major films. Perhaps Taxi Driver has divided opinion more than any other. 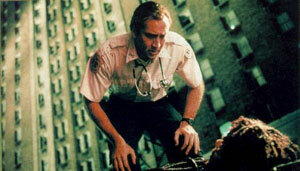 Robin Wood has called the film an “incoherent text” because of its conflicting views of its protagonist, Travis Bickle (Robert De Niro). Wood sees this as a conflict between the progressive Scorsese and the reactionary screenwriter, Paul Schrader. (4) Robert Ray, on the other hand, sees the film as having two different levels of meaning. 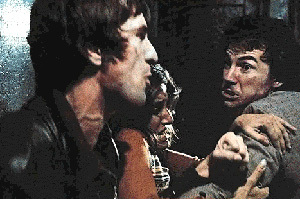 In his view, Taxi Driver was a box-office success because it appealed to a “naïve” audience that saw Travis as a hero and the film as another in the Deathwish (Michael Winner, 1974) cycle of Right-wing vigilante films. But it also played to the “ironic” audience that saw the film as a critique of this very Right cycle. 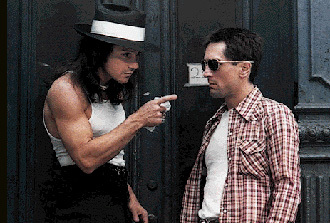 (5) But instead of seeing this as a criticism of the film as does Wood, I believe this ambivalent attitude to its protagonist is what makes Taxi Driver a great film. It is a film fuelled by the tension of sympathising with Travis’ loneliness while being repelled by his violent, anti-social behaviour. This is echoed in the tension between the reality of the street scenes and the lavish and seductive cinematography (by Michael Chapman) and music (by Bernard Herrmann). Wood seems to want Scorsese to completely distance himself from Travis in order to make an explicitly polemical film against vigilantism and everything else unpleasant about the character. This is the type of film perhaps Robert Altman or Stanley Kubrick would have made. But Scorsese rarely wants this kind of distance from his characters, and his films contain a dynamism few others achieve because of this. A similar tension exists in Raging Bull, and it has lead to similar critical dissent. Robin Wood praises the film as an exposure of the violence inherent in a masculinity that must viciously repress all signs of femininity and/or homosexuality. (6) Pam Cook, however, believes that the film is a tragedy that mourns rather than celebrates the loss of masculinity. (7) Both readings are intelligent and convincing from their own perspective, and attest to the ambivalence Scorsese feels toward his subject. For instance, the boxing scenes are extremely violent and bloody but are also a virtuoso example of editing (by Thelma Schoonmaker) and cinematography (again by Michael Chapman). But for Cook to suggest that the film fails to be progressive because it does not criticise Jake LaMotta (Robert De Niro) unambiguously is a calling for an art devoid of complexity. Since Raging Bull, Scorsese has seen less critical attention, despite the fact that the quality of his work remains quite high. For example, The King of Comedy (1983), one of the American cinema’s most devastating satires, remains, next to his revisionist musical New York, New York (1977), his most underrated film. After the box office failures of New York, New York, Raging Bull and The King of Comedy, Scorsese returned to independent filmmaking with After Hours (1985), an interesting if minor work. He returned to studio filmmaking with The Color of Money (1986), a remake of The Hustler (Robert Rossen, 1961) that is probably Scorsese’s worst film. 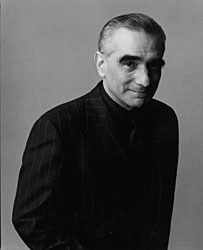 Scorsese basically made the film in order to have the opportunity to adapt Nikos Kazantzakis’ novel The Last Temptation of Christ, a film he had been trying to make for years and that had already had an earlier production shutdown in 1983. 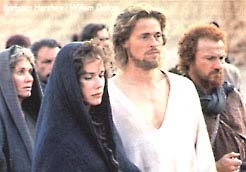 The film was finally released in 1988 despite massive protest from Christian fundamentalists offended by the film’s depiction of Christ’s sexuality. Ironically, it was a very devout film that would appeal more to believers than atheists. Since I belong to the later category, I find The Last Temptation of Christ entirely too reverential. The same applies to another Scorsese film about a religious leader, Kundun (1997). 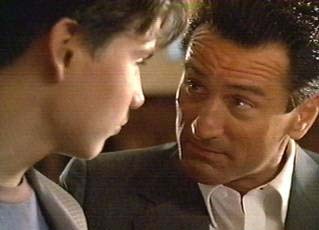 GoodFellas (1990) is his only film of the past 20 years to garner much critical attention. It is certainly one of the most interesting and subversive of all gangster films, combining elements of the musical and black comedy in its story of the rise and fall of an unrepentant mob henchman. The film combines Scorsese’s typically ambivalent view of violence, displaying it in all its nastiness while at the same time positioning the viewer (through editing, camera angle, and music) to identify with it. The most shocking element of GoodFellas is the ending, in which Henry Hill (Ray Liotta) is stuck in the prison of American suburbia. Henry has the American Dream, and he despises it. Unfortunately, similarly powerful films such as Casino (1995) and Bringing Out the Dead (1999) have been mostly ignored, both critically and at the box office. His most successful film commercially, Cape Fear (1991), is one of the best remakes of the ‘90s but ultimately limited by the very fact that it is rather conventional (although not without some subversive twists). In recent times, Scorsese has been able to establish a place of prestige for himself within film culture. He has made two documentaries on national cinemas (United States and Italy) and has appeared in numerous history of cinema documentaries as a talking head authority. He continues to be a noted figure within film preservation, and has even extended into editing a series of reissued film books for the Modern Library. All of this cultural work on the part of Scorsese is perhaps necessary, given his lack of commercial success. By establishing himself as an important authority on film culture, he has almost guaranteed that he will be a powerful and influential figure within the future of American film. Boyd, David, “Prisoner of the Night,” Film Heritage 12, no. 2 (1976/77): 24-30. Bruce, Bryan, “Martin Scorsese: Five Films,” Movie 31/32 (1986): 88-94. Grist, Leighton, The Films of Martin Scorsese, 1963-77: Authorship and Context. Basingstoke, Eng. : Macmillan Press, 2000. Kolker, Robert, A Cinema of Loneliness: Penn, Stone, Kubrick, Scorsese, Spielberg, Altman. New York: Oxford University Press, 2000. Lippe, Richard, “New York, New York and the Hollywood Musical,” Movie 31/32 (1986): 95-100. Lippe, Richard, “Style as Attitude: Two Films by Martin Scorsese,” CineAction! 41 (1996): 14-21. Miller, William Ian, “’I Can Take a Hint’: Social Ineptitude, Embarrassment, and The King of Comedy,” in The Movies: Texts, Receptions, Exposures. Ed. 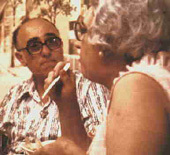 Laurence Goldstein and Ira Konigsberg. Ann Arbor: University of Michigan Press, 1996. Morrison, Susan, “Sirk, Scorsese and Hysteria: A Double(d) Reading,” CineAction! 6 (1986): 17-25. Penman, Ian, “Juke Box and Johnny Boy,” Sight and Sound Vol. 3, No. 4 (1993): 10-11. Stern, Lesley, The Scorsese Connection. London: British Film Institute, 1995. Thompson, David and Christie, Ian, eds., Scorsese on Scorsese. London: Faber and Faber, 1996. Weiss, Marion, Martin Scorsese: A Guide to References and Resources. Boston: G.K. Hall & Co, 1987. Wood, Robin, “Two Films by Martin Scorsese,” in Hollywood from Vietnam to Reagan. New York: Columbia U.P, 1986. Not as adulatory as the title would suggest, this page features essays, a partial screenplay of Casino and a voting booth. Not an official site, but pretty close to it. Essays, articles, interviews, contests, FAQ, films, merchandise and discussion board. Unofficial fan site with biography, news, quotations, articles, photos and links. Interview with the director focusing on Tibetan issues from around the time of the release of Kundun. Great page on this magical pairing. Features news, upcoming projects, biographies, photo gallery, voting booth, book store, video store and guestbook. News, multimedia, information, merchandise and fun stuff. Article from the time of the release of Cape Fear. 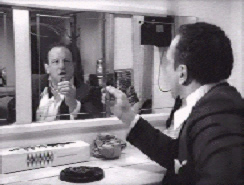 Raging Bull also topped the following polls: “The Decade’s Best,” Premiere 3 (Nov. 1989): 106-107. “The Best of the Decade,” Time 135 (Jan. 1, 1990): 101.